Being a remarkable and dependable business organization in this domain, we are engaged in providing an extensive range of Hot Air Brush. eal for adding wave, curl during blow drying and at the same time it makes your hair shiny. The heat-activated ceramic coating allows even heat distribution and better heat retention, cutting your drying time and makes your hair setting last longer. Suitable for short to long hair. 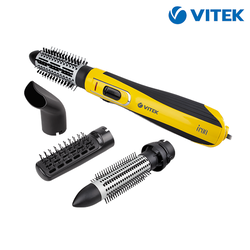 Be smart all day with the all new and improved Westinghouse WHHB500 Hot Air Brush Comfort that features a unique Finger Diffuser and 2 styling brushes for volume, curls and waves to make people turn their heads when you pass by. 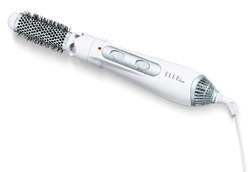 It comes with 2 heat settings and one cold setting to give that optimum hair styling you had wanted.